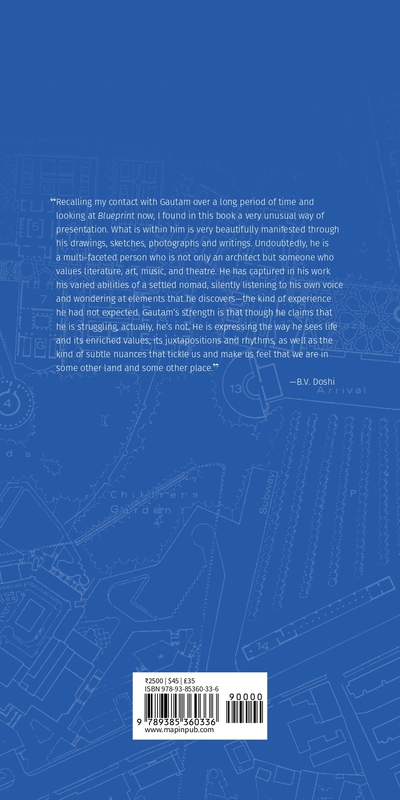 Book: Blueprint-The Works of Gautam Bhatia, Foreword by Himanshu Burte - ArchitectureLive! Blueprint is an artist’s testimony about his work, nothing more and nothing less. For that reason alone, it is an unusually welcome event in Indian architectural discourse. I have long believed that Bhatia’s is among the most original imaginations at work in contemporary Indian architecture. Yet, Bhatia is probably better known for his architectural writing—whether taking down bourgeois fakery, or illuminating the felt poetry of spatial experience—than for his architectural practice. This book is therefore important as the first consolidated presentation of his creative practice—not just the body of his work—as an architect. It is also important for the way in which Bhatia presents the ideas behind his work, as well as moments from the process and experience of making it. For once, it is the ideas (and their unexpectedly persuasive idiosyncrasies) and the experience of translating them into design and built form that predominate in a book on architecture. But even rarer and truly original is the indirect illumination of the creative self that is the ghost in the book’s machine: steering as much as steered by the tumult of artistic and everyday practice, endlessly plagued by self-doubt and yet always straining for latent worlds of value that lie just out of reach. Like any good testimony, it presents rather than argues, and thus invites quarrel deeper than debate. The personal is Bhatia’s register, in architecture and its telling. A thoughtful and well-read architect whose first degree was in the fine arts, Bhatia draws, sculpts, writes and designs from the gut. His creative practice hinges on emotional response: his own, to spaces and places produced by others whether named artists or authorless histories; and that he anticipates, manipulates and hopes for in the inhabitants he imagines into his buildings. The bile he hurls at the city, as well as the wonder for architecture he reports, issue from the same unfashionable source: deepest feeling. Surprise, engineered through distortions that yield unexpected caricature, or poetry, is the fulcrum that balances swinging contraries in word, image and building. What is the value of such a personal testimony in our times? Blueprint attempts a personal account of the creative process that is free of the noxious fumes of self-congratulation. At the same time, the substance of this testimony offers a fascinating glimpse into the challenge of being an artist today, especially in the unpromising role of a service provider. Bhatia takes architecture—and indeed, the city—personally. Unlikely as it may seem at first glance, it is difficult to disentangle the city from his architecture. Going by so much of his writing, he will probably never make peace with the Indian city. We thus have the wild, vulgar, violent urbanism of Bhatia’s New Delhi to be grateful to for the ruses of escape into nature, solitude and conviviality that his architecture plots in the hills, forests, and plains of other places. Baiting or surrendering to nature— undulating scrub land by the lake, or forest in the hills—or the ever-fresh pursuit of the ideal of retreat—underground, or in an upper floor study—are among the themes he brings alive differently in different settings. Bhatia’s method is to seek contradiction, even stage it where it does not emerge naturally out of the predicament of design, as a point of departure and as an axis around which a design or its meaning may spiral out. Doubtless, for him, contradictions have the potential to open a crack in entrenched structures of habit and convention which produce and sustain the soul degrading reality around. Of course, since the architect usually builds for others, in a context that is socially produced, there is no shortage of contradictions. Among other things, Bhatia’s testimony illuminates a common but rarely articulated question: how can one respond to imperatives that might contradict the very foundation of one’s approach to life and work? Subversion is one answer as at Bhatia’s remarkable design for a drama school on an urban plot. Behind the straight-faced façade, its roof subsides into an amphitheatre that becomes the institutional commons edgily bringing together spaces of everyday life and creative activity against neat bureaucratic classifications of time, space and human action. Engaging contradictions is risky business, of course. Bhatia’s unbuilt design for a skyscraper and an entry for a library competition in Varna, Bulgaria, are fascinating in this regard. We wonder: how will he retain the disaggregation, intricacy and the love of internal contradiction visible in his smaller works, in addressing these monstrous projects? 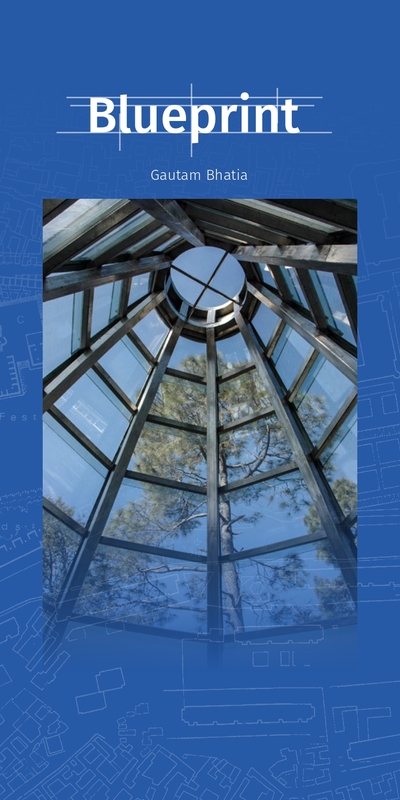 The journey through the critical idiosyncrasy of his design reasoning in each project reveals the value of Bhatia’s architecture and telling, as an opening gambit in a conversation. Yes, the skyscraper and the big urban building are increasingly a given for the architect, and yes, perhaps, there is a need to rethink it from scratch but no, turning it into an integrated vertical township does not make me feel warm. But, yes, the broken-up pile, textured rough to help weave an unlikely social fabric, is an apt response. At Varna, yes, the reader ‘detached’ from the library building, is a beguiling image; but does yet another city need a glazed, convex, architectural totalization on its streets? The conversationality of Bhatia’s practice may perhaps be traced to his simultaneous affiliation with contrary spirits, say, collage and classicism. Everything is, deeply, what it seems to be and its opposite. An almost classical penchant for (Kahnian) repetition is interrupted or deflected by a change in alignment, or an unexpected, inescapable, and potentially incongruous element in his architecture. The otherworldly harmony of his collaborative miniatures in traditional style, heaves with invisible antibodies ready for combat with the disgusting profanity of flesh depicted with care. And, as testimony, Blueprint is equal parts commentary. Indirectness, allusion, the love of secrets. This book disavows systematic, transparent and comprehensive argument or documentation. Buildings are not presented in full as plans, sections or photographs. Drawings fade into blue vapour. Building plans and photos are accompanied by surreal and sometimes dire visualisations of related themes, sometimes ballooning into the ridiculously insightful. Anything but the direct declaration of the detached or over-obsessed observer. Circumlocution over the axial approach. Reverb as itself melodic progression. And the exaggeration of the ridiculous inherent to all human practice, especially architecture, to keep us anchored to the common ground of everyday bodily existence. The obliquely delivered message can be frustrating to the receiver; yet sometimes it is the only way of communicating the artist’s struggle with the incommunicability of what is really worth sharing. What is really worth sharing, then? Blueprint, for me, is allusive autobiography. Its contents—intimations of what Bhatia has created over more than three decades in word, image or building—are like mirrors, variously angled, redirecting our gaze endlessly till we stop looking for a definite object. It is the dizziness of criss-crossing our own paths in following Bhatia’s narrative journeys, instead, that may be the point. Creative practice can be dizzying, when it is schizoid. Being shown this schizoidness (as in the double role Bhatia gratuitously, but effectively, slips into at the end of “Palace”) is a valuable gift at a time when the quick smart pose is regularly proffered in place of a carefully considered position. Blueprint invites us into the internal-external confusion and contradictions that the thoughtful artist must grapple with in holding on to the integrity of his vision and therefore, of the self. Bhatia must write, paint, and sculpt alongside his practice not because he is trained as a visual artist first, but perhaps because he must keep shifting between media of differing privacy and indirectness, to find modes and trajectories of formulation with which to negotiate the constant translation between private and public imperatives of architecture. Architecture, for Bhatia, lies in the sometimes disorienting to and fro between intention and its enactment that marks the process of conception and its always ongoing realisation as place. To persevere critically in creative practice is to consolidate hope. If there is value in the boundary walls that secure Bhatia’s socio-economic privilege, it lies in the fact that they sustain that practice and that hope, however unreasonable it may appear. Too much of his writing, for me, has been fueled by a blinding rage. But we see here, most clearly, that it is in architecture that Bhatia gambles on hope. Gautam Bhatia graduated in Fine Arts and went on to get a master’s degree in Architecture. A Delhi-based architect and sculptor, he has received several awards for his drawings and buildings and has also written extensively on architecture. Besides a biography on Laurie Baker, Bhatia is the author of Punjabi Baroque, Silent Spaces and Malaria Dreams—a trilogy that focuses on the cultural and social aspects of architecture. Among his other books are The Punchtantra, a rewriting of the original Panchatantra into contemporary folk tales, Comic Century, An Unreliable History of the 20th Century, Whitewash: The tabloid that is about the India that isn’t and Lie, a graphic novel, the result of collaboration with miniaturists. Two of his shows of drawings and sculpture—‘Looking through Walls’ and ‘The Good Life’—examined disparities between the professed goals of architecture and the public perception of building. Bhatia is currently working on ‘Future Building: An Exhibition of Ideas for the Future City’.